Williams sat down with CableTV and discussed what it’s like to reflect on his career and whether or not he will continue on the reality dancing competition. Q: You are a legend. You have been in some amazing movies from “Star Wars” to most recently, “The Lego Movie.” How did you originally get started in acting? Williams: I started when I was 6-and-a-half-years-old on Broadway doing a musical. That was a hundred thousand years ago. That was my first experience and years after that I decided to go back into it. I hit my teens and went back into show business. My career kind of took off after that. I did a bunch of movies and did “Brian’s Song” which got me nominated for an Emmy. At that point I did “Lady Sings The Blues,” and then I did a fragrance for about nine years. I did a lot. Q: Is it crazy to look back at your career and know that you were in some of the most pivotal movies of all time? Williams: Well I feel very fortunate that some of the movies I have done have become some part of posterity. I feel very fortunate. Q: I know you have constantly been working throughout the years. What makes you continue to work and be on all of these shows at age 77? Williams: I don’t know [laughs]. There is always something to do I guess. If I have the opportunity to do it, I do it. I really like staying busy. Q: Now, how did “Dancing with the Stars” happen? Why do that at this point in your life? Williams: I am 77, I got back pain, I have two hip replacements and I have no idea why I decided to do this. It has nothing to do with competing with anybody or the other competitors. It’s just basically me seeing if I could handle it. I wanted to see if I still had something left. I am challenging myself and listen I am ready to give up and I got another week to go and I have to do the tango now and I am in the middle of rehearsing that. Q: Why are you ready to give up? Williams: Maybe I am a masochist. Listen I do this four hours per day. I really was just talked into it. I just don’t see myself lasting that long. Q: Well what has your experience been like so far? Were you disappointed with your scores? Williams: I am not really in proving them wrong. They were right. They are judging from a perspective of dancing. They understand. I am not worried about it. Q: You have a lot of fans you could win this thing. Are you prepared to go all the way? Is that something you have even thought about? Williams: I have to see what my body tells me. Right now my body is telling me enough is enough. My back is killing me. I am not worried, but I can only do what I can do. I will see how well I do it. Q: Are you surprised that you have so many fans that are supporting you? Williams: It’s very nice. I am so thankful to have them and for them to be supporting me. I don’t think you can have a career without having a following. I am so happy that I have people that are behind me and have watched me all of these years. I am extremely thankful. Q: Well, you mentioned you were doing the Tango, so what can fans expect tuning in to see you? Williams: Hopefully they will see a pretty good performance. I don’t know at this stage, but I am working diligently that I present myself in a way that is not embarrassing. Q: Well it’s hard when you are not a professional dancer and with all of your injuries I think you did fantastic. I hope you are able stick it out. Like I said before you never know you could win. Williams: Ha I don’t think I am going to win anything. We will see what happens and how long I can stay in it. Like I said I wanted to make sure I was able to do it. This is for me, it’s not for a competition. But, we will see how things go. 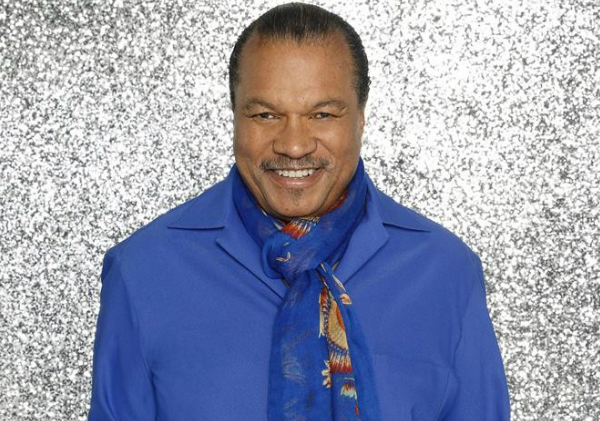 Watch Billy Dee Williams perform on “Dancing with the Stars,” Mondays at 8 p.m. EST.